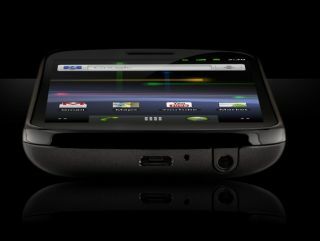 The Google Nexus S will be available in the UK from 20 December – with Carphone Warehouse and Best Buy UK the first retailer to offer the handset. The follow up to the Google Nexus One is markedly different from its predecessor, bringing the first glimpse of Android 2.3 on a smartphone, Near Field Communication tech and offering a novel curved screen. The Nexus S will be available for pre-order from 16 December and available four days later for those people who are keen to grab the latest Android 2.3 handset. The Google Nexus S also offers a four-inch Super AMOLED touchscreen with an 800 x 480 WVGA resolution. There is a 5MP camera, and the ability to film in 720p at 30 frames per second. The beating heart of the handset is the Samsung Hummingbird 1GHz processor and, according to Samsung, the phone comes with 16GB of internal storage.